Workplace diversity and focus on employee growth gives Accenture India the advantage. Global consulting and technology services major Accenture's India operations account for a little over 35 per cent of its global employee base of 394,000. In fact, the company has thrice the number of employees in India as it does in the US. Accenture says it employs over 140,000 people in India. However, every year, it hires thousands from more or less the same talent pool - Tier-I engineering colleges and B-schools - that its Indian peers such as TCS, Infosys and Wipro tap. So, what makes Accenture figure so high on the list of India's Best Companies to Work For compared to its Indian peers? Is it compensation? Not really. While Accenture has a reputation for being a good paymaster, its salaries and rewards are in line with market trends. So, what is the X-factor that makes it a desirable place to work? For Parag Pande, Managing Director, Human Resources, the answer is simple: "While others have a business ambition, like being the largest by revenue, profitability or some other metric, we have, in addition to these, a talent ambition. We want to be the best place for highly-specialised talent. In the end, all businesses are talent plays." Accenture spends nearly $1 billion on professional development of employees every year. 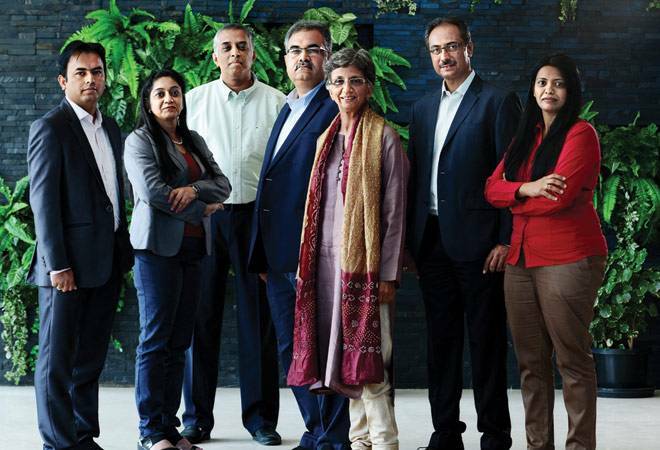 Rekha M. Menon, Chairman and Senior Managing Director, says employee loyalty is the result of the brand, the cutting-edge work they do, and the clear career path they offer. Shantiprakash Motwani, an M. Tech from IIT Bombay, who has been with Accenture for 15 years, says there are three things that give them an edge - the core values that drive people's behaviour, opportunities to learn and grow and focus on employee engagement. "We strongly believe in continuous learning to stay relevant to our clients. We get to play a variety of roles requiring different skills," says Motwani, who works as Director of Delivery for Financial Services. Accenture has rolled out a continuous employee appraisal system after doing away with the traditional bell curve. "Who waits for a year before assessing somebody and telling him/her? It is so 20th century. We have a continuous feedback mechanism,"says Pande. Given the speed at which technology changes, employees keep themselves updated through 80 connected classrooms, 2,300 online learning boards and 38,700 courses. The topics could be latest developments in Agile methodology, design thinking, Hadoop, DevOps, cloud, mobile security or any other area of employee interest. Employees can exchange notes on 'Stream', an internal chat engine. Vibhav Verlekar, a 30-year-old IIM-A passout who has been with the company for five years, says what attracted him to Accenture are "opportunities to work across industries, ranging from FMCG to life sciences, oil & gas to automobile, and also across functions, including sales & marketing, supply chain, and manufacturing. It offers functional alignment and opportunities to work and collaborate with the best people." These employee engagement initiatives have ensured that the attrition rate is "significantly lower than industry norms," says Pande. A third of Accenture's employees are women. The company has support groups and forums for LGBTQ (Lesbian, Gay, Bisexual, Transexual and Queer) employees. It also has a programme to give opportunities to those who are physically challenged. Several employees, including Pande, wear a badge indicating they are friends of the LGBTQ community whose members can reach out to them for any issues. Menon says their biggest strength is diversity. "It makes us more creative and innovative." The company not only gives an extended maternity break but also runs a programme to encourage women who have taken a break to join back. Divya Dhingra, a 31-year old engineer who works as an application team leader, remembers her apprehensions after a maternity break in 2014. "Thanks to the learning and knowledge management team, I got a lot of opportunities to learn." The big challenge, says Pande, is ensuring learning agility. "But even as we do that, we have to remember that one should not get too industrial about outcomes. The key to continued success is retaining the human edge in this digital age."